The only way for merchants to make sure they are retaining all possible revenue is to respond to every dispute with a quality dispute response. No matter the reason code, merchants should respond to every dispute. In this post, we will take a look at some telling social media posts and go over why merchants should respond to every dispute. Over the last couple of weeks, I have come across some posts on social media that merchants need to be aware of. These posts are meant to be funny and were shared on popular Instagram accounts that purely post funny content. But for merchants, these posts give insights into cardholder’s behavior and logic. These posts are examples of chargeback fraud and how easy it is for customers to dispute a purchase for invalid reasons. Beyond just the single person who wrote the post most likely disputing their charge, these posts make the audience on Instagram aware that the dispute process could be used in this way. Chargeback fraud is the fraudulent request for a return or refund in the form of a dispute. The transaction is disputed by the cardholder in an attempt to regain the transaction dollar amount while retaining the product or services rendered. Chargeback fraud accounts for 35% of all fraud losses. 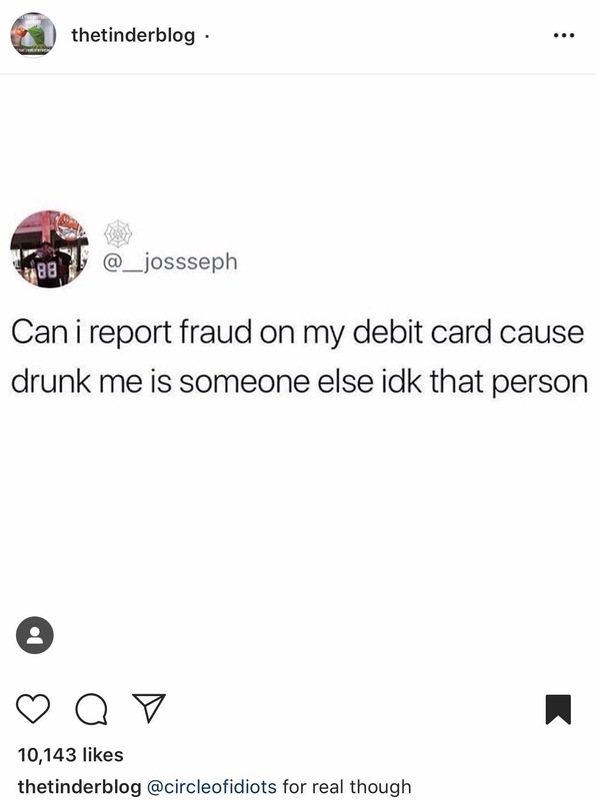 Both of the above Instagram post situations are examples of cardholders committing chargeback fraud. The good news for merchants is that chargeback fraud disputes are winnable with a well-crafted dispute response. When a merchant receives a dispute they have a limited amount of time to create a response document that disproves the cardholders claims. This document should be created around the specific reason code and should include the evidence outlined by the card network. While at times the process of creating a dispute response can be tedious and confusing, it is crucial to respond to every dispute. We give this advice because of disputes like the examples above. Let’s take the example of a cardholder making some drunken purchases. The next day they check their bank account and panic a bit. They made a large purchase while they didn’t have a perfectly clear mind. It is too late to cancel the order and they do actually want the items that are on the way, but they really didn’t want to pay that much money right now. 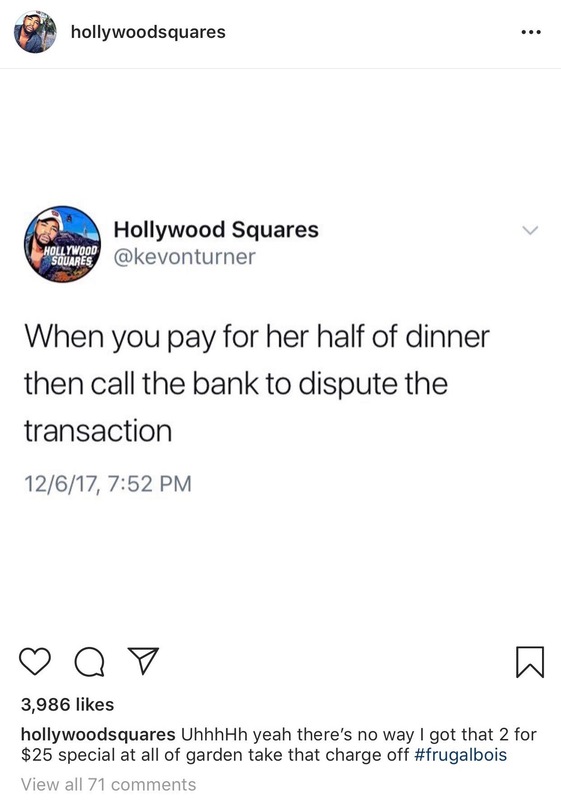 So they dispute the transaction. This is a transaction disputed because of buyers remorse which is not a valid reason and can be won by the merchants. The other example that came from Instagram is a cardholder disputing back a meal simply because they do not want to pay for it. This is the same situation where there is no valid reason to dispute and the cardholder is taking advantage of the dispute process. The problem is when a merchant receives an invalid and malicious dispute like these, they just see the reason code that the cardholder is claiming, not what actually happened. So if the cardholder made some purchase that they claimed was a fraudulent charge, the merchant would just see that it was a fraud reason code. Some merchants may just assume that all fraud reason code disputes are true fraud and won’t bother responding to the dispute. When a merchant does not respond to the dispute within the time limit they automatically lose the dispute. Which means the transaction amount from the sale is lost. Even though the dispute is winnable and the revenue could be retained if the merchant would respond.